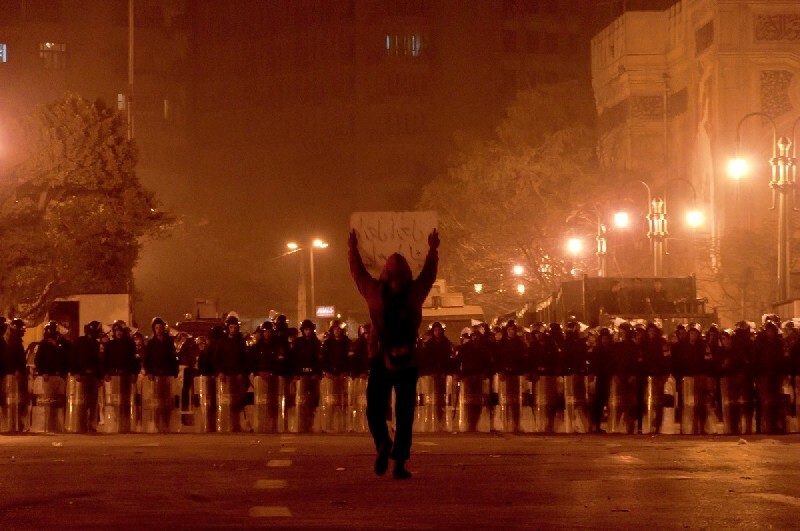 An image from the Egyptian revolution 2 years ago. “I generally refrain from commenting on politics just due to the fact that I don’t know much about it. However, what happened today in Egypt had very little to do with politics and more to do with the plight of humanity. 1- We are our own worst enemies. Time and time again Allah will bless us with favors and we will go out an sabotage these favors. While Morsi is far from perfect, he was a big blessing to the people of Egypt. They have no one to blame but themselves for what is to come. 2- What we witnessed is a growing dichotomy between secularism and religion. What people fail to realize is that when your government has no greater authority to respond to except for itself you will always see oppression. Our rulers need to be answerable to God himself, that is the only way they will be kept in check. When people lose the fear of God they lose all sense of morality. Our religion is a way of life and not just something we practice in our homes or mosques. 3- Up and until we change our own internal states, the physical changes will make no difference. Few are the people that represent us in government that actually want what is best for us, as oppose to their own personal interests. The revolution must begin from within before the external one is sustainable. As a point of benefit their is a great wisdom behind the fact that most supplications that ask for victory usually begin with recognizing our relationship with our creator and seeking his forgiveness. 4- Make it a litmus test of your faith to see how much you are praying for the people of Egypt, Syria, Burma, and the rest of the lands filled with evil and oppression. While it’s fine to discuss the situation and read more and more about it, know that all of this will achieve nothing for the people of Egypt. It’s only when we turn our thoughts into actions – via dua for them, and our own inner change – that things will happen. So, let’s spend less time caught up in the news, and more time in deep reflection and plead with our Lord for the millions of people – in Egypt and elsewhere – who are suffering as a result of political tragedies.